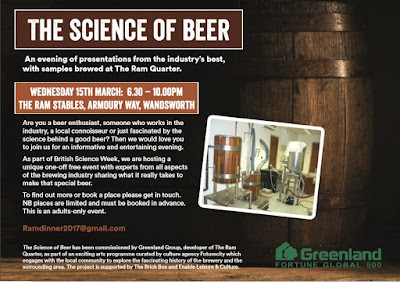 There's a right lot of idealistic twaddle written about craft beer. I've been trying to get together a post about the need for a proper materialist analysis but it's been hard work so it may never appear. Not having got my thought fully in order I was unsure what line to take on the craft beer conundrum I spied on a recent visit to Tescos. What am I to make of Adnams dry hopped lager going for 96p a can? An abomination that Tescos are devaluing craft beer by selling it cheaply? 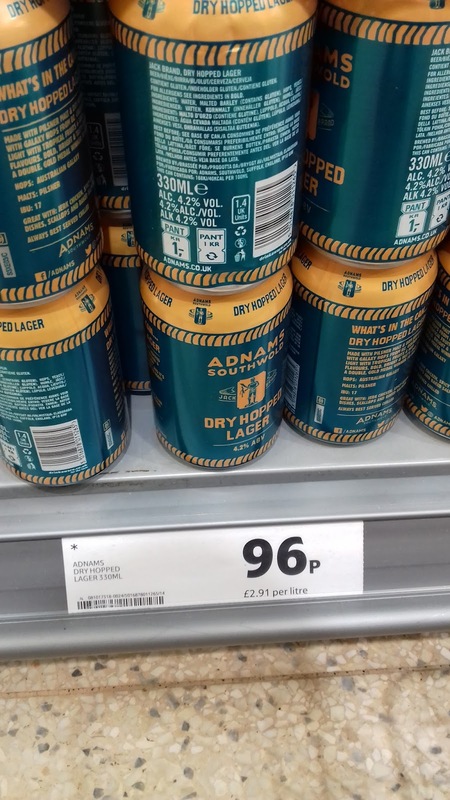 An abomination that Adnams, a company that makes cask bitter, is devaluing craft beer by selling beer in small cans that cheaply? Help bring about a better understanding of craft beer by voting in my handy poll. When I was organising trips to for the Brewery History Society this year I was keen to include Pope's Yard in Watford. It's not an old brewery, but I know they have an interest in old beers. One of the beauties of beer is that although a brewery might be long closed it is possible for its beer to live again. Or at least something close to it. I've had a few goes at reviving old beers, and experimenting with how old beers might have been. One thing I have in common with Pope's Yard is that we've both had a go at reviving Benskin's Colne Spring Ale, though they've done a much better job of it than me. 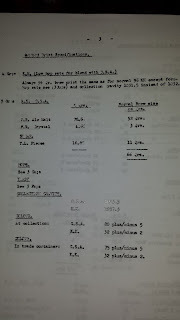 My researches into Colne Spring Ale involved emailing a few libraries and collections which was sadly fruitless, so I based my version on an analysis Ron posted. Geoff at Pope's Yard did considerably better by physically looking through old records. 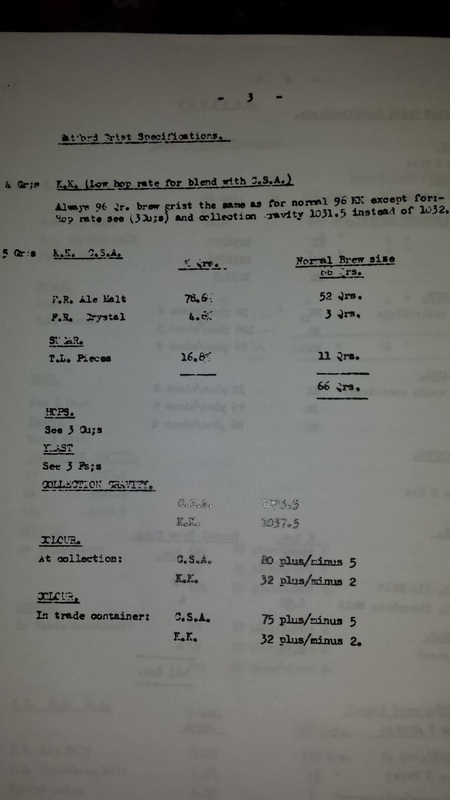 Amongst some documents on brewery properties he found the Rosetta stone of Benskins: a booklet detailing how their beers were made. As well as the historical and experimental beers Pope's Yard do make some more 'normal' ones too, which is just as well as I had a long day. All of their beers were enjoyable to drink, and I found them interesting too. A lot of the 'innovation' in breweries at the moment looks like arbitrarily throwing in a new ingredient or following the latest fad which doesn't really interest me. 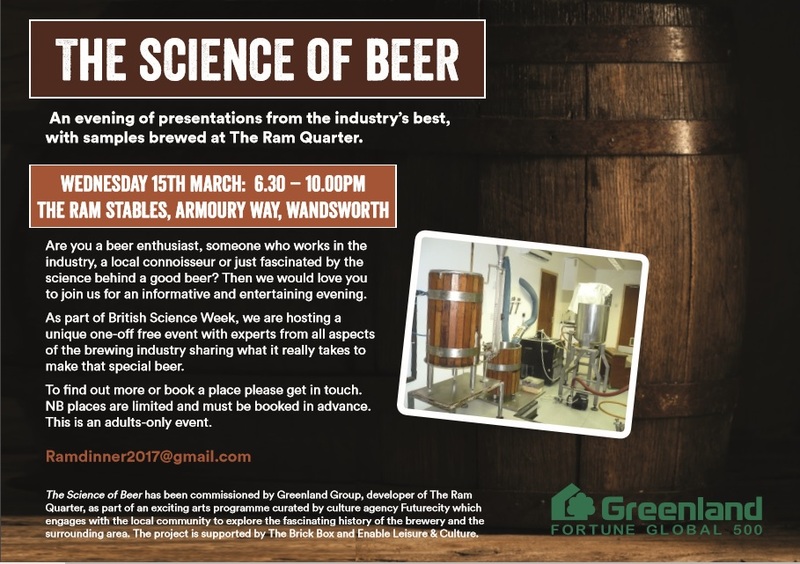 But at Pope's Yard you can see they're exploring where their curiosity leads them to create a fascinating range of beers. Geoff and Ben were excellent hosts and I look forward to seeing where Geoff's recent research into ancient Sumeria via Burma takes his brewing.